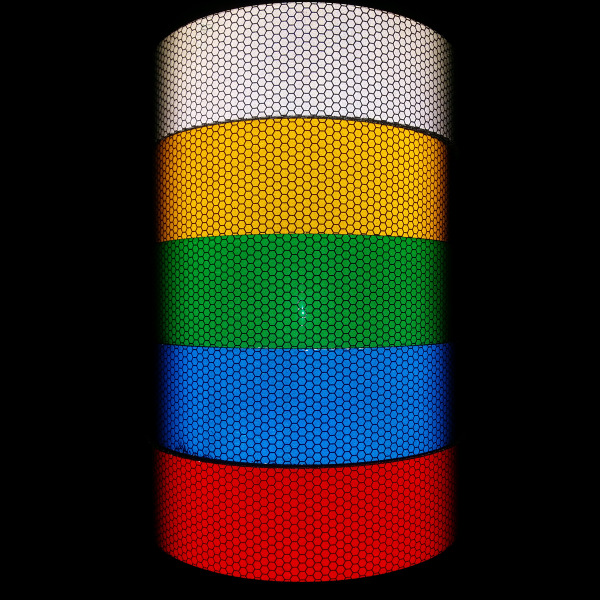 The?High Intensity Reflective Tape is our Prismatic Retro Reflective tape, it is an economical alternative to our DOT series. 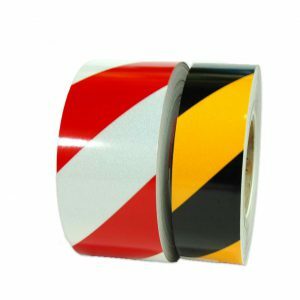 This honeycomb prismatic reflective tape created for safety applications such as safety cones, trailers where increased visibility is required. ?Encapsulated-lens, pressure sensitive adhesive-coated sheeting with an easy liner paper, intended for increasing visibility at night where safety is necessary. 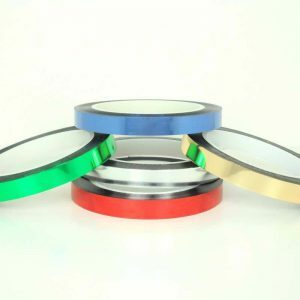 Application: Curved and flat surface (such as Aluminum, Zinc coated steel plate) which must be cleaned from dust, grease or any contamination which could affect the adhesion of the material. Not recommended for unpainted stainless steel surfaces.